FOX Sports Detroit’s “Detroit Tigers: The Roar of ’84” will make its world premiere Thursday at Beacon Park as part of the sixth annual Freep Film Festival. The film is narrated by Detroit’s Smokey Robinson. With a new baseball season looming, thoughts inevitably turn back to 1984, when the Tigers brought the World Series championship back to Detroit for the first time in 16 years. April and May marks 35 years since the team’s famed 35-5 start, a mark unequaled in baseball annals. 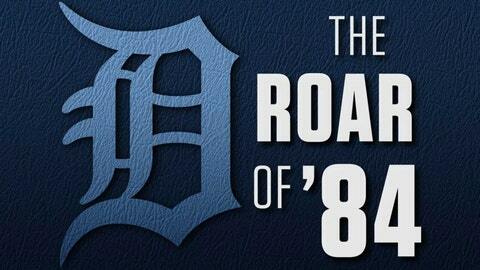 “Detroit Tigers: The Roar of ’84” features 13 members of the ’84 Tigers, along with noteworthy local and national personalities and rival players from the era. Beyond 1984, the film touches on the rich baseball history in Detroit, from 1901 to today, with venerable Tiger Stadium being the centerpiece for so much of it, including the captivating, glorious ’84 season. Following the film, some members of the ’84 Tigers championship team — Kirk Gibson, Dan Petry and Dave Rozema — will join Bill McGraw, who covered the Tigers for the Free Press at that time, for a conversation led by Gene Myers, sports editor at the Free Press during the championship season. Due to popularity, a second show has been added on Saturday at the Detroit Film Theatre in the Detroit Institute of Art at 1 p.m. Visit FreepFilmFestival.com for tickets. The Freep Film Festival is a documentary-focused event, with special attention paid to films connected to Detroit and Michigan, or with special resonance there. More 13,000 guests will attend 90 events during a five-day period at 14 different venues to celebrate the 2019 festival.